Meanwhile, it’s a fact that anyone can die from ingesting too much aspirin, or too much coffee, or too much wine. Marijuana, on the other hand, medical or not, is not only non-lethal, but likely beneficial. Several studies, some published as recently as a few months ago, have shown that marijuana can even be good for your health, and could help treat conditions better than the solutions being cooked up in the labs. “After dealing with about 10,000 patents in the last 15 years, I’d say about 200 different medical conditions respond favorably to cannabis,” Mikuriya said. We won’t go through all 200 conditions here, but here are 10 of the most notable, common conditions, afflictions and diseases that marijuana has been proven to help. Awesome article. But you left out some major benefits of Cannabis. It has been used effectively in scientifically controlled studies as an anti-inflammatory agent, anti-bacterial, an effective pain medication, a tool to ease dependence on options for pain relief, and as a treatment for PTSD, paranoia, anxiety, both positive and negative symptoms of schizophrenia, and probably many other ailments. 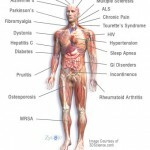 It’s good to know what health issues medical marijuana could potentially help with. I just think it’s amazing how we’ve been able to utilize these plants in a way that could benefit a lot of people with certain diseases or ailments. Technology and our understanding of these things has really helped to advance our use of all materials, especially medical marijuana. I am suffering from severe fibromyalgia and severe neuropathy. I also suffer with bad anxiety. It is good to see such post as this so people will know how medical marijuana works and what are the benefits of using it. 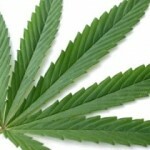 Very substantial medical marijuana information. 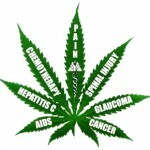 Indeed, there are studies that strongly support the benefits of marijuana to cure medical conditions. Thanks for the article. I didn’t know that marijuana can help control seizures due to epilepsy. That is really incredible! My brother struggles with his seizures. It would be awesome if marijuana could help him handle it. I will have to see if medical marijuana is a good choice for him. My mother has been suffering from arthritis for the longest time and is using medical marijuana from a clinic. Knowing that it can help people with chronic pain find relief in this practice. She deserves to feel well and not in constant pain. I have heard a lot about the advantages and disadvantages of the marijuana. But I believe that, with the right usage, it can help heal a lot of illnesses since there numerous findings of their benefits. Like you said, one of which is epilepsy. It’s surprising that, with cannabis, it is possible to control the seizures. Thanks for the information! This is a sad truth. Prescription drugs actually kill about 100,000 people worldwide each year. Thanks for sharing this info! Cannabis helped me recover with my depression. I love cannabis!